Automation is defined as using various control systems to operate equipment such that there is minimal human intervention. Progressive Automation can be used in home automation since users can upgrade from simple home automation to eventually more complex ones, building one over the other. This article looks at how one can get started with home automation. The category home automation can span from really simple to extremely complex tasks, all this depending on what the user asks. Jargon, standards, and devices can overwhelm the user, but the easiest way of walking through home automation is focusing on what you want to do and eliminating the clutter. A user deciding what they want goes a long way in helping determine their method, the time they’ll take setting things up and even the budget they’ll use. With the ingenuity set at the right levels, a lot of things can be automated in your home. Things that are repeatedly done at home can be automated one way of another. Most of the things running on electricity and several others that don’t can be made smart and even possibly connected to a central system. To start with, the easiest way to automate your home is to purchase tools specialized to perform certain tasks. Simple timers and sensors can be used to make ordinary devices do specific tasks at specific times or after certain conditions. Simple remote control outlet units that turn anything connected to a power outlet off and on after pressing a single button anywhere in the house can be used. An example is a device called the Belkin Wemo. Wemo is a self-contained and simple automation unit that a user plugs into their power outlet. This device automatically connects to your Wi-Fi and an iOS device can be used to control it. This device thus is more flexible than the normal sensors and timers since it is operated remotely. 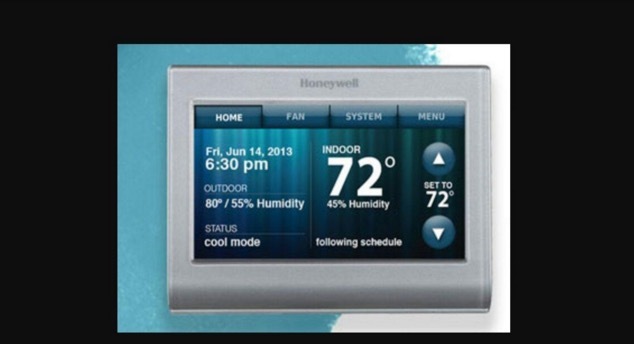 Smart thermostats give the user a single automated function. They control room temperature remotely, learn the user’s preferences, intelligently disables your AC while you are out and enables it back before you get home. For your various peripherals to communicate with a central device, a network protocol needs to be put in place. Some standard protocols for home automation include Z-Wave, Insteon, Zigbee, and X10. After picking up your standard, three more things are needed. First is the software that runs on a user’s desktop, tablet or smartphone. Next, the user needs a transceiver or coordinator that is a device that issues commands to the user’s wireless network. Lastly, the user needs sensors, switches, and peripherals that are end devices that carry out the commands. In case a user wants to build their home automation from scratch, platforms like Raspberry Pi and Arduino offer the user the ability to develop customized solutions for their unique situations. A Raspberry Pi is a small mini-computer that is programmable. Motors, switches, and sensors can be attached to the Raspberry Pi. Since it is too small, it can be used for building specialized electronic devices. Complexity comes with added versatility. Getting started with any Raspberry Pi or Arduino project requires the user to have some programming background, be familiar with electronics and have time to spare to design the system.